BetAnySports College Football Playoff Futures, The race for a spot in the 2018 four-team College Football Playoff officially gets underway this week with a full slate of Week 1 games from Thursday night right through the holiday weekend. BetAnySports has a full set of betting lines and odds for all the games, but they have also set the odds for every major program when it comes to earning a spot in the playoff field. The team at the top of the list is the SEC’s Alabama Crimson Tide as the defending national champions from a year ago. Their odds to win the 2018 national title top the list at +200, but they have been trending upward in recent weeks. Alabama’s odds to be one of the four teams in the nation battling for another national title are set at -300, which also tops that list. 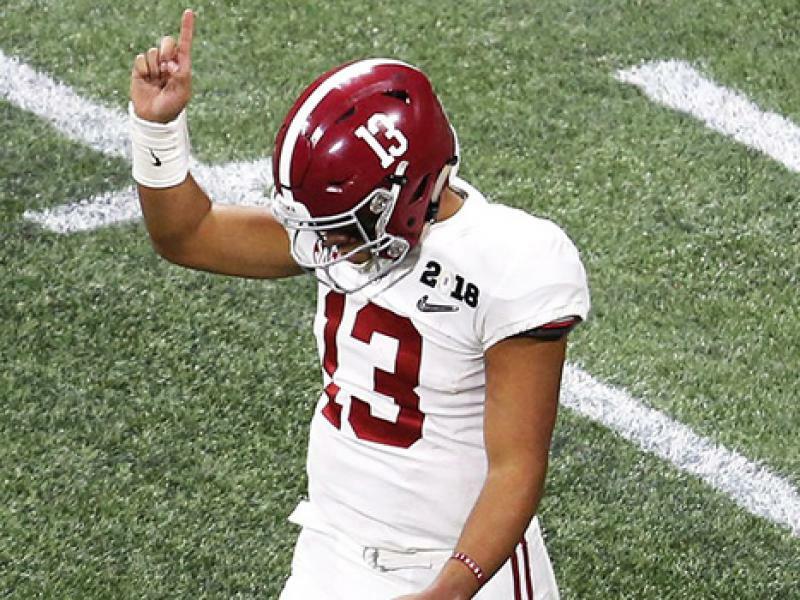 A few of the faces have changed on both sides of the ball for the Tide and we could see Tua Tagovailoa as the new starting quarterback, but Alabama remains the team to beat in the SEC as a -140 favorite to win the conference title and it remains a tough team to go against when it comes to the playoff and the national title game. Where Can I Bet The College Football Playoff Futures Online With Bitcoin? The closest team in all of these futures bets would bet the ACC’s Clemson Tigers. They should have the easiest path back to the playoffs after losing to Alabama last season in the semifinals. Clemson’s betting odds at BetAnySports to win the ACC again in 2018 have been set at -180 ahead of Miami, Florida at +300. Florida State is a +700 third-favorite to win the ACC before the odds start to really fall off. The Tigers’ betting odds to make the 2018 playoff field have been set at -180 as a clear second-favorite to Alabama. They are also +300 second-faor another national title are set at -300, which also tops that list. The Tigers’ betting odds to make the 2018 playoff field have been set at -180 as a clear second-favorite to Alabama. They are also +300 second-favorites to win their second national title in three seasons. Clemson is another team that has a wealth of talent on both sides of the ball to keep it right in the mix for a run to this year’s CFP final four. A few of the other top playoff contenders this season include the Big Ten’s Ohio State Buckeyes at +150 and the SEC’s Georgia Bulldogs at +175. If you are looking for some solid value in the CFP betting odds at BetAnySports, the Big Ten’s Wisconsin Badgers at +325 is a great place to start. The Tigers’ betting odds to make the 2018 playoff field have been set at -180 as a clear second-favorite to Alabama. They are also +300 second-favorites to win their second national title in three seasons.